AEP Linac is the world’s largest independent supplier of Teledyne e2v magnetrons and thyratrons used in (medical) linear accelerators. Besides magnetrons and thyratrons AEP Linac offers a wide variety of other linear accelerator parts. Due to our experience we know that fast deliveries are crucial for the market and therefore we keep stock of all common types of magnetrons, thyratrons and a large variety of other critical linear accelerator spare parts. Within the Benelux AEP Linac is the sole distributor for a range of renown radiotherapy brands in the field of patient laser positioning, optical surface scanning, patient positioning and many more. 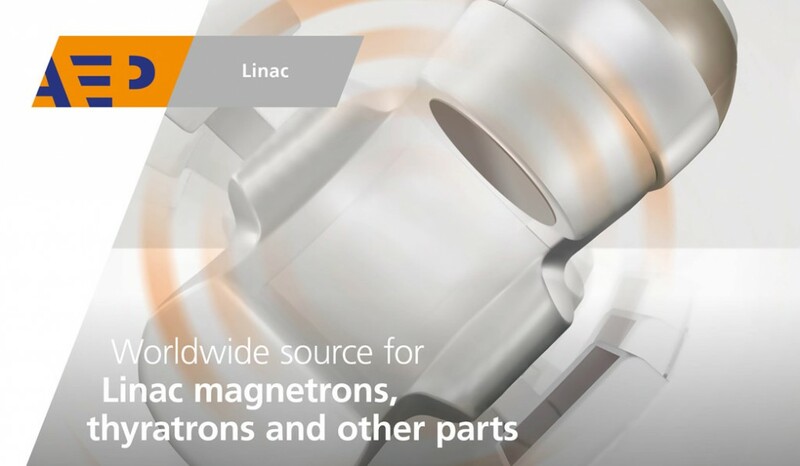 For more than 50 years the magnetrons and thyratrons from Teledyne e2v technologies have been ‘the tube of choice’ for linac manufacturers all over the world. The original equipment manufacturers only approve Teledyne e2v products for service replacements.